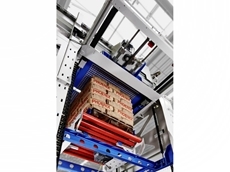 A leading manufacturer of sustainable pallets, Cabka-IPS introduces a new range of space saving pallets designed for dense storage and economical transport when empty. Pallets are definitely not a hot topic of every day conversation, but they are surely an irreplaceable element of the materials handling landscape. In fact, it’s hard to imagine ‘materials handling’ with no pallets. Without them, it would be nigh on impossible to run a warehouse; for large retailers to receive their goods; for products to be shipped interstate; or for world trade to exist. 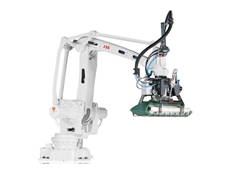 As such, a company such as CHEP has a solid presence in Australia. According to the company’s website, CHEP manages 237 million pallets, 600,000 bulk containers and 34.9 million reusable plastic containers. The choice comes down to plastic versus wooden. 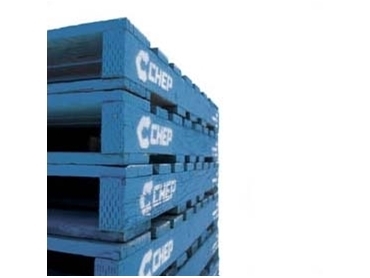 CHEP offers both hardwood and plastic pallets. Their hardwood pallets are built to Australian standards and have received universal acceptance across Australian industry. Everybody who has worked in a warehouse is familiar with the company’s ubiquitous blue pallets. What’s more, every warehouse rack in Australia is built to be exactly one CHEP pallet wide. And so, the infrastructure in which the entirety of Australia’s supply chain has been built is actually built around the CHEP pallet. These pallets feature a hardwood three bearer construction and the company offers a repair and maintenance via its services centre network, as well as a pallet relocation service. 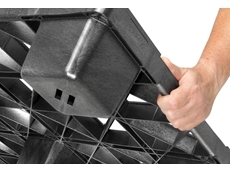 On the other hand, CHEP’s lightweight plastic pallets haveno nails or splinters. And their non-porous surface does not absorb odours and is easily cleaned. Their external dimensions are consistent with AS4068, yet they are lighter than their wooden equivalents (they weigh just 34 kgs). These plastic models are particularly suitable for regulated and hygiene sensitive industries such as pharmaceutical and food industries. Bulk Handling Australia Group (BHA) recently released slim-line plastic export pallets for bulk bags onto the Australian and New Zealand markets. Their release followed two years of development and they are intended to be a low-cost alternative to wooden or traditional plastic pallets. Injection moulded from High Density Polyethylene, they features a four way entry design and are stackable so they help save space. They are also recyclable and weigh only 4.7 kg. The BHA Bag Pallet has also been laboratory and field tested to determine the design weight load performance for different bulk bag base dimensions and through extensive fill and logistics trials amongst bulk bag exporting companies. They are recommended for the bulk bag export market and, amongst others, may be used in the food, agriculture, mining and chemical sectors.